The best port to arrange yacht charters from on Lefkas island is - perhaps suprisingly - not Lefkas port but the small hamlet of Nidri which is located near the entrance of the Vlikho Bay about midway along the east coast of this gorgeous island. 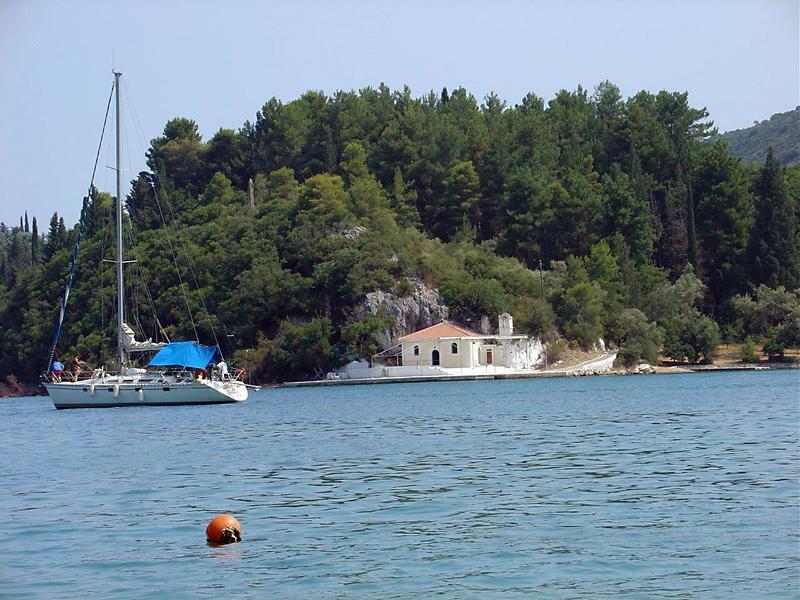 From Nidri you can immediatly explore the myriad of anchorages of Meganisi, a superb island for yacht charters. Nidri also features the best yacht charter companies, hence the the best yacht charters in the Ionian. Furthermore Nidri is within a very short taxi trip from Preveza airport. The ride followed the old cause-way which nowadays via a bridge connects Lefkas island to the mainland of Greece. A more suitable name would therefore be Lefkas peninsula. Nidri yacht charters are mostly bareboats, yet a skipper or instructor (RYA instruction) can be arranged. A hostess is rather redundant in these waters since good (and not so good) tavernas can be found in the smallest ports, even in bays where anchoring is a delight. Furthermore, assisted bareboat charters (a mild and less restricted form of flotilla sailing) is provided from Nidri port.
.: Back to the Ionian :.